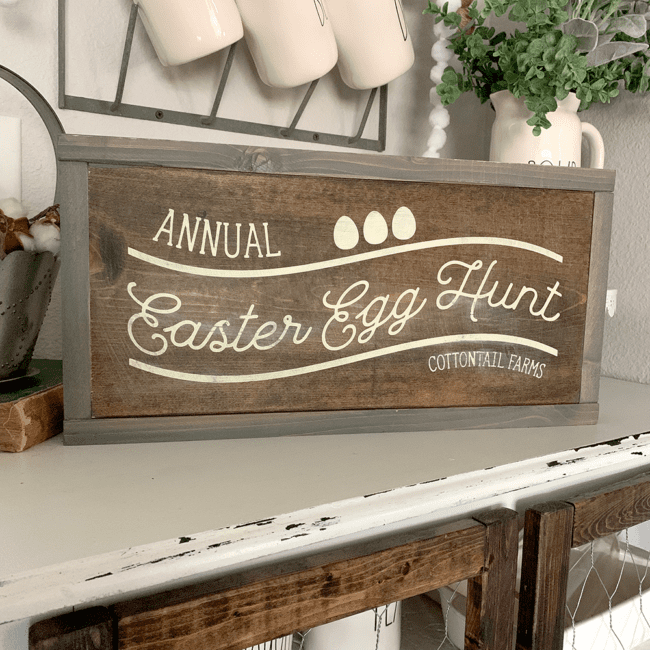 I love making wooden signs and every 4-6 weeks I host sign making workshops at my house. I cut all the wood and adhesive vinyl stencils before the girl tribe arrives. Today I’m answering all the questions and sharing a video on the stencil process. I cut the wood and put all of my signs together. I cut the vinyl using my Silhouette Cameo and then apply the vinyl as a stencil. Once I’m finished painting I peel the vinyl off to reveal the finished project. This painted wooden sign video went viral on Instagram and I’m still getting questions on the post and in my DMs. Watch and then feel free to ask any questions I haven’t answered in the comments at the bottom. Is using adhesive vinyl cost effective? Why not use the adhesive vinyl as the design instead of peeling it off and throwing away? Where do you get the wooden sign from? I buy the wood from Lowes or Home Depot and cut it using my miter saw. More on this process soon! What type of adhesive vinyl do you use for stencils? I use oracal 631. I have used 651 in a pinch and it left a sticky residue behind. I’ve also tried the stencil vinyl and felt it didn’t have enough stick which resulted in paint lines that weren’t crisp. Do you ever have trouble getting the transfer tape off of the stencil? Let’s be honest – YES! I wish I could say no. That is why I use an old giftcard or squeegee to smooth things out. Watch the process video to see what I’m talking about. How do you get the vinyl to stick to stained wood? It is extremely important for stains and paints to be completely dry before applying the stencil or they won’t stick. Stain can be dry to the touch but not dry enough for the stencil. I personally like to allow my stain to dry overnight but at sign parties I have the girls do any staining first since we don’t have as much time. Enter your name and email below and the Easter Egg cut file will be sent to you in a ZIP folder. The ZIP folder contains a DXF file for Silhouette users, a SVG for Cricut users and a PNG to print or trace. 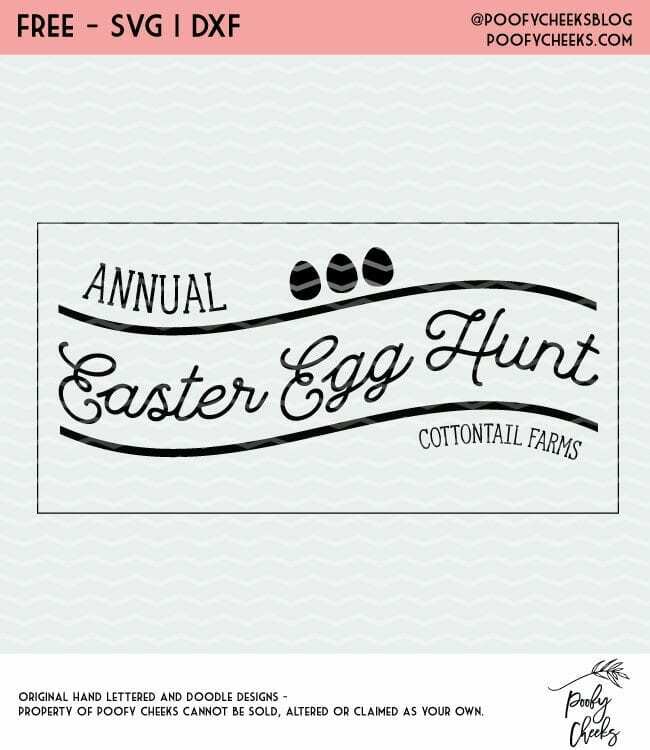 Sign up and get instant access to the Egg Hunt cut file. Join over 10,000 others who get access to our free cut file library. Love this! What are the dimensions of the wooden sign?